I love reading about food. In this Monday’s Burlington Freepress, there is an article about V.T. 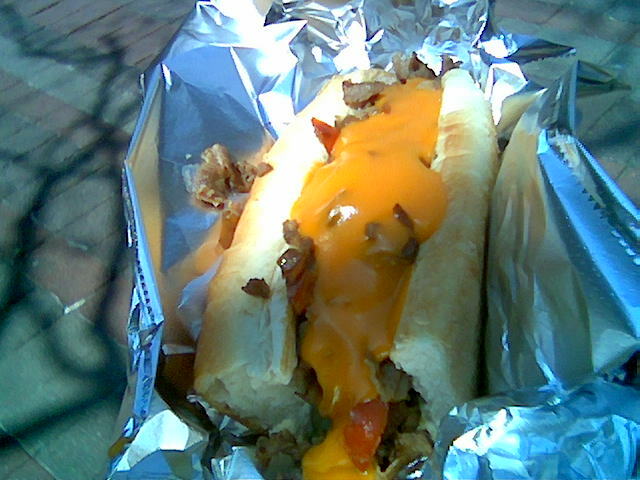 Famous Philly Cheese Steak Inc. According to the article, V.T. 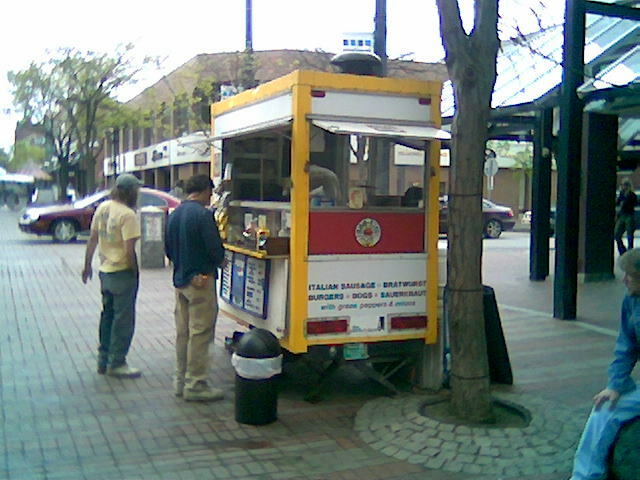 Famous Philly Cheese Steak Inc used to be operated out of a cart in downtown Burlington, it is now co-located inside Larow’s Market. Larow’s Market’s Iconic Like Cola Sign, Home to V.T. 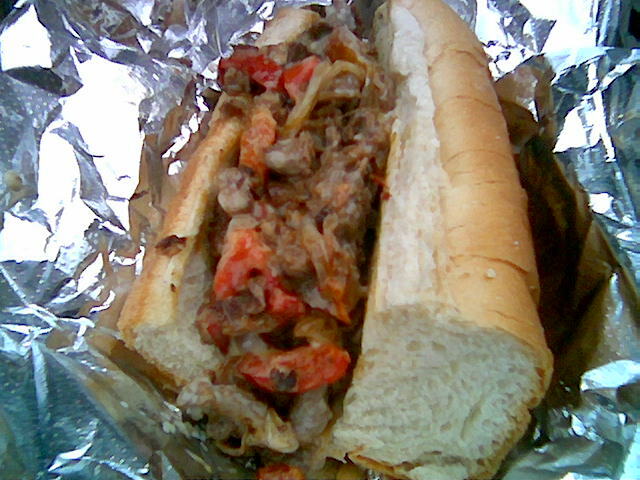 Famous Philly Cheese Steak Inc. Larow’s is an easy landmark on North St, in the O.N.E. (Old North End) of Burlington Vermont. 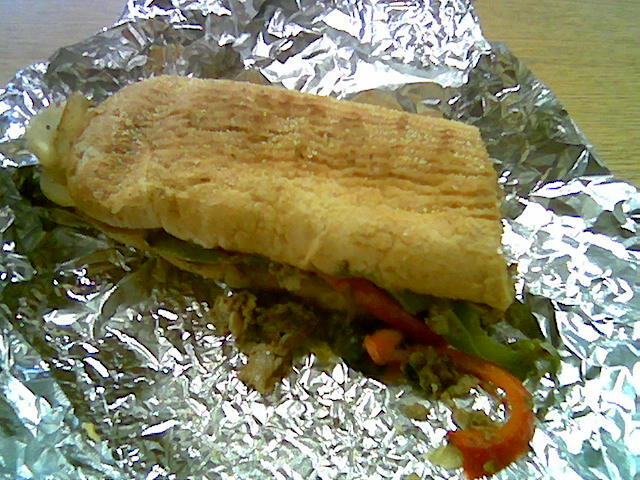 Marinated fresh beef makes this sandwich distinctive. Worcestershire sauce is the most obvious component of the marinade, and shredded beef is super tender. You can pick from American, Swiss, cheddar, or provolone cheese. Onions and green peppers come with the sandwich by default, I added mushrooms (button) at no charge. V.T. Famous Philly Cheese Steak, flipped to show cornmeal on roll. The role of the roll, is an important one with Philly’s and V.T. (a play on words with his initials and Vermont) made a good selection with an “authentic” type roll. 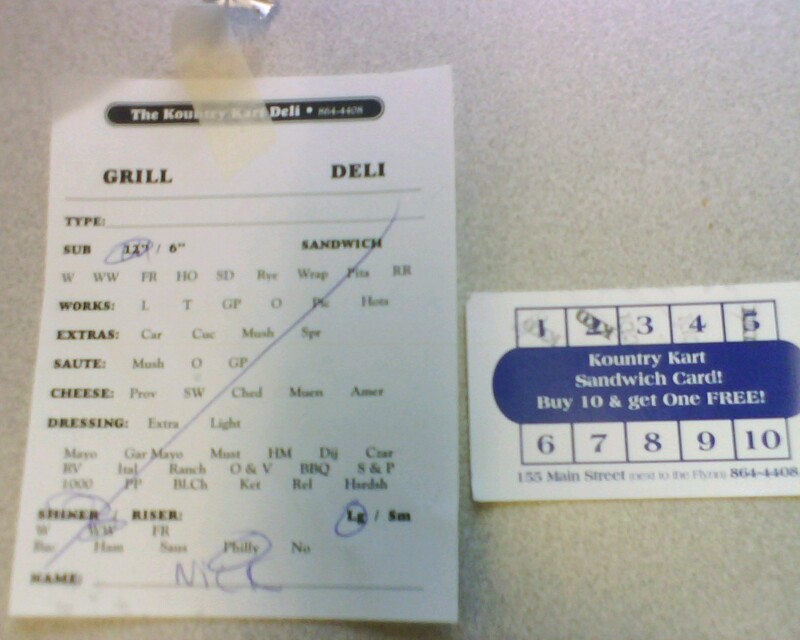 The deli paper wrap disintegrated a little bit compared to foil, but it’s not a huge issue. There was a little less cheese on my sandwich that I would have liked, I think next time I may opt for American cheese instead of Swiss to try to balance out the savory marinade. 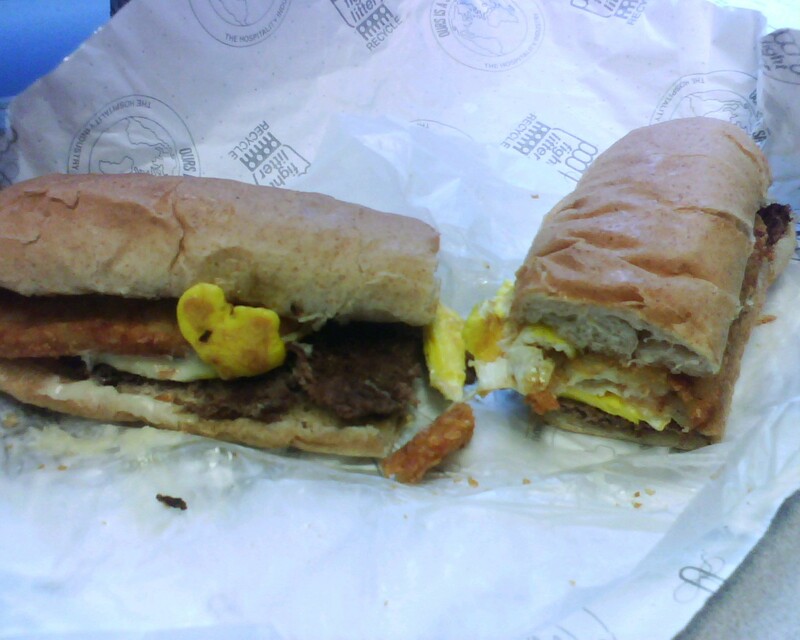 This is a different take on the Philly, and I will definitely be back to try it again. The large was reasonably priced at ~$7.50, and V.T. the owner is super friendly. 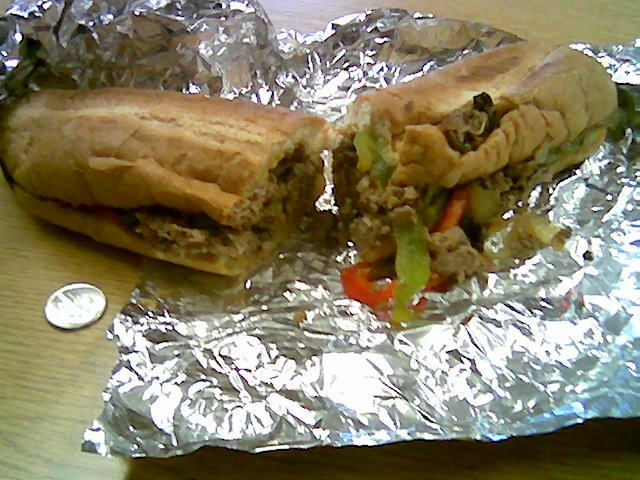 I love “Philly’s” AKA Cheese Steaks, not to be confused with the incorrect name “steak and cheese”. I have been on a bit of a mission to find the best “Philly” around town and I think I found it at Tommy’s City Grill in South Burlington, Vermont. 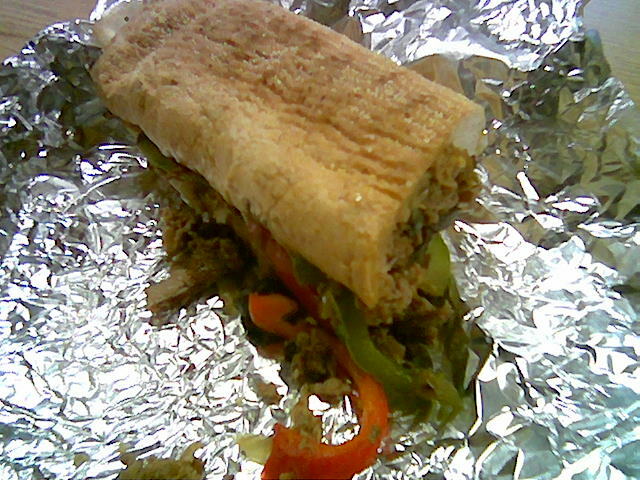 I ordered a 12″ Philly, by default is comes with sauteed onions, green peppers, and pricey red peppers. I also added mushrooms to mine; the house mushrooms at Tommy’s are shitacki! The steak is nice and tender, no chewy gristle. American cheese shines in this sandwich, layered between the toasted roll and the steak and sauteed peppers and onions, the cheese flows through all of these elements. Also of importance is the roll, if you’ve ever had an “authentic” Philly, you’ll recognize the roll. 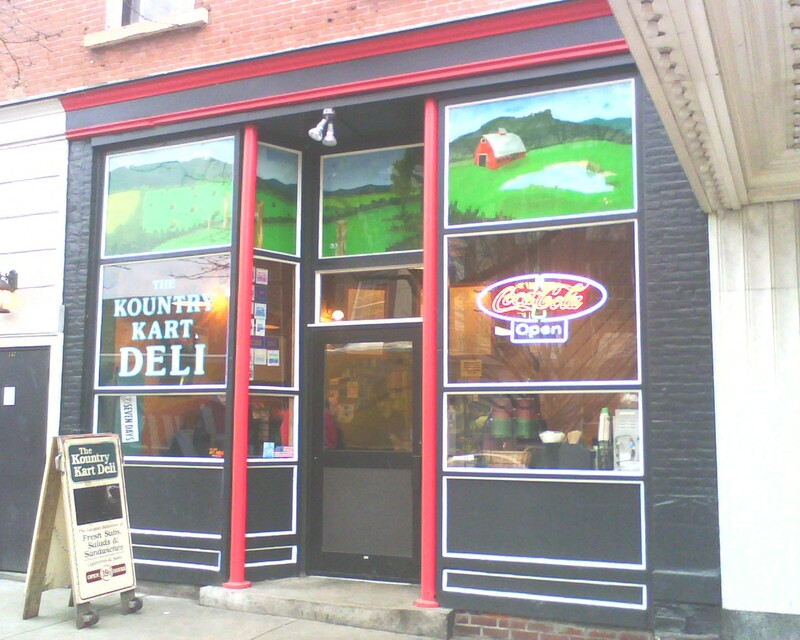 Long, fairly narrow, with cornmeal on the bottom, the last two photos are of the bottom of the Philly. The roll is coated with oil or butter and toasted on the grill, giving it a slight crunch adding to the delicious texture. While the peppers and mushrooms may not be authentic, they add to this sandwich, it’s like having a slightly different sandwich with every bite combination. The chef at Tommy’s City Grill went to school at NECI which may have a little something to do with this inspired sandwich. The 12″ is normally $8.75, with mushrooms added it’s just over $9.